Our product range includes a wide range of garment pp box with printing, garment packaging box, suit length box, plastic box for towels, towels box and pp box. 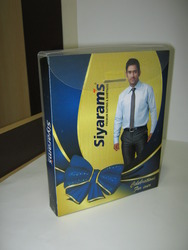 We are leading manufacturers of Garment PP Box. 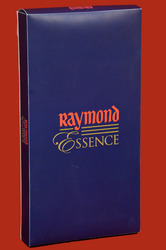 We manufacture, distribute, import, export & supply a supreme quality assortment of Garment Packaging Box. The offered PP products are given in various stipulations according to the customer’s needs. Our provided PP products are designed by utilizing disposable unfinished material along with latest technology according to the market norms. We examine the whole range of Garment Packaging Box from our end so that we can supply defect free range. 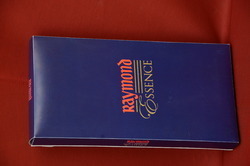 Transparent Plastic Box for towel packaging. 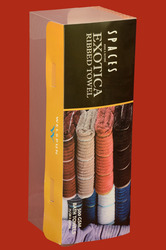 Plastic Box for towels packaging. 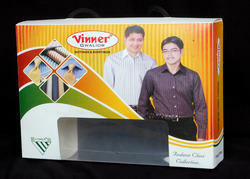 We at Vishi Plast are engaged in manufacturing of PP Cross Line Garment Box. We also do customisation as per your requirement. 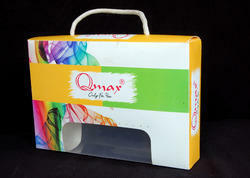 We are leading manufacturers of Packaging Box. We are leading manufacturers of Garmet PP Box. Printed Plastic Box for Garment use.